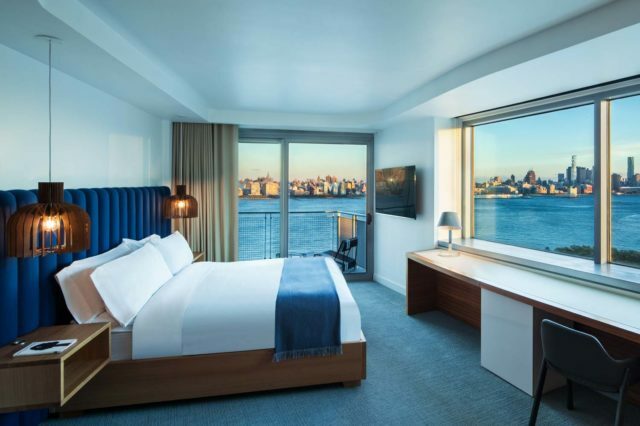 In a bolt of cobalt blue edged with tones of taupe in this urban sanctuary, where you’ll behold breathtaking views of the Manhattan skyline and Hudson River from your private balcony. Come alive in the living room with the state-of-the-art entertainment system or connect to anywhere in the world at the oversized work desk with High Speed Internet Access, dual-line cordless phones and an ultra-comfy office chair. Unwind in the king-sized signature W bed with a pillow-top mattress, 350-thread-count sheets and goose down comforter and pillows. The slate-finished master bathroom full of luxurious Bliss® Spa bath amenities is all yours, as you revel under the walk-in shower with cheeky peek-a-boo glass doors or in the separate bath tub, while a separate half-bathroom is conveniently situated in the living room area. 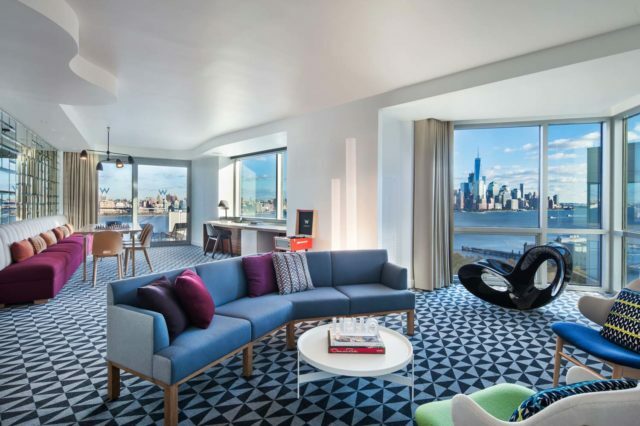 A vibrant energy fills the one-bedroom Fantastic Suite with panoramic views and plenty of space to unwind and relax. 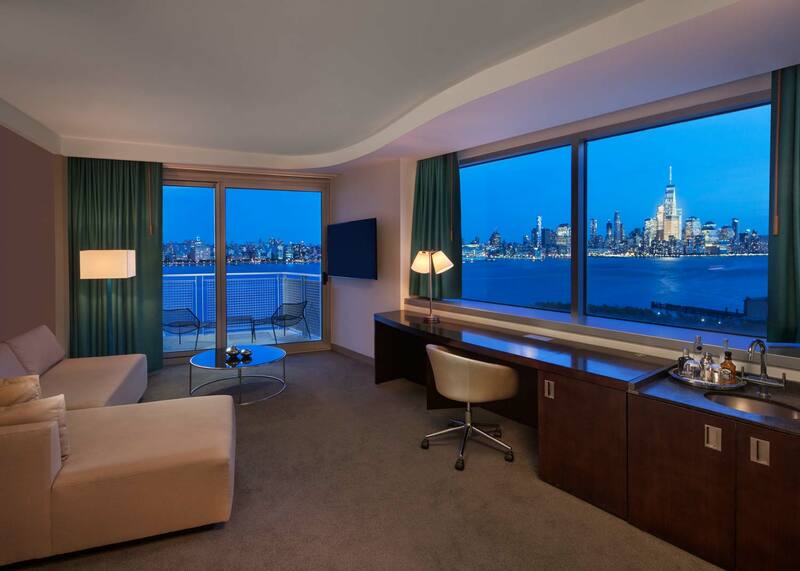 Guests will enjoy their own private balcony and spacious living room in this urban sanctuary. 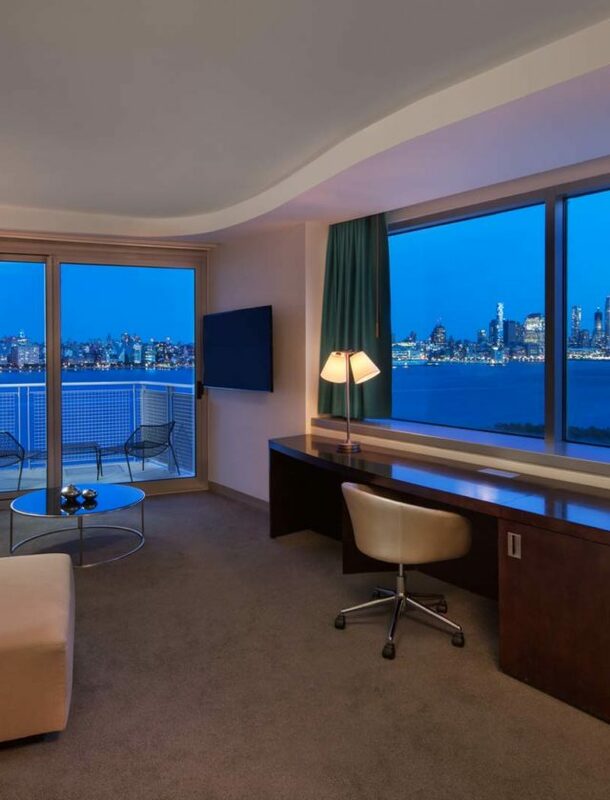 Only one word describes this spaciously sophisticated one-bedroom suite's dimensions and amenities-WOW. 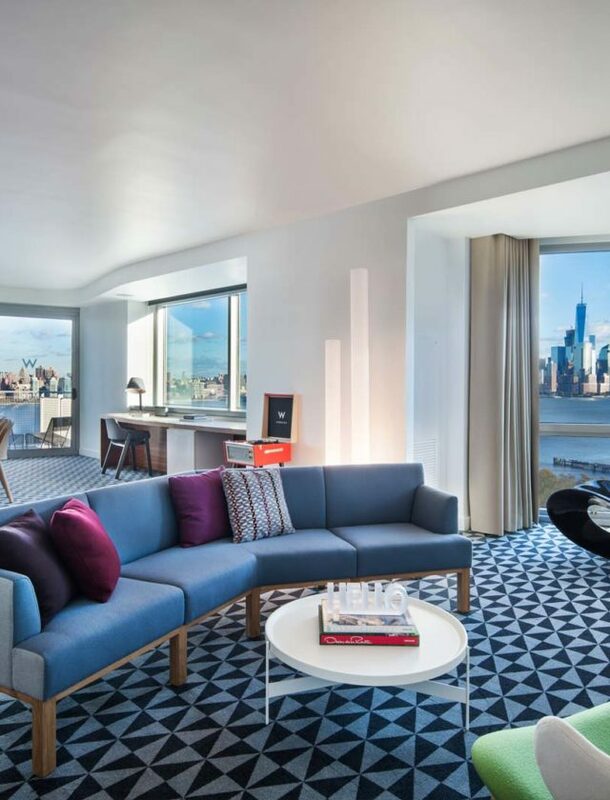 Including a sprawling private balcony, spacious Living Room and dining area - the WOW Suite is a one-of-a-kind luxury experience. 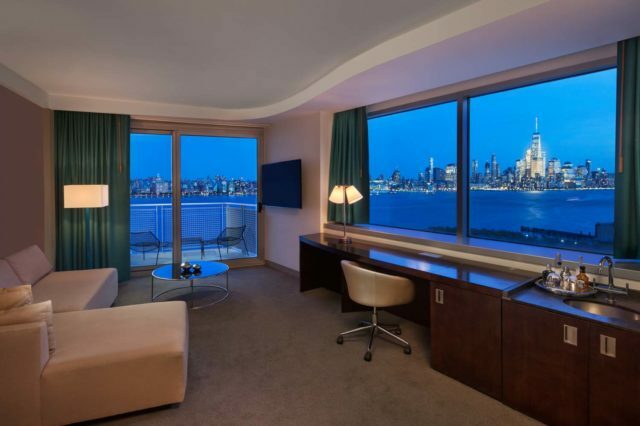 Welcome to Hoboken's ultimate destination, the Extreme WOW Suite designed by Toronto's 3rd UNCLE. 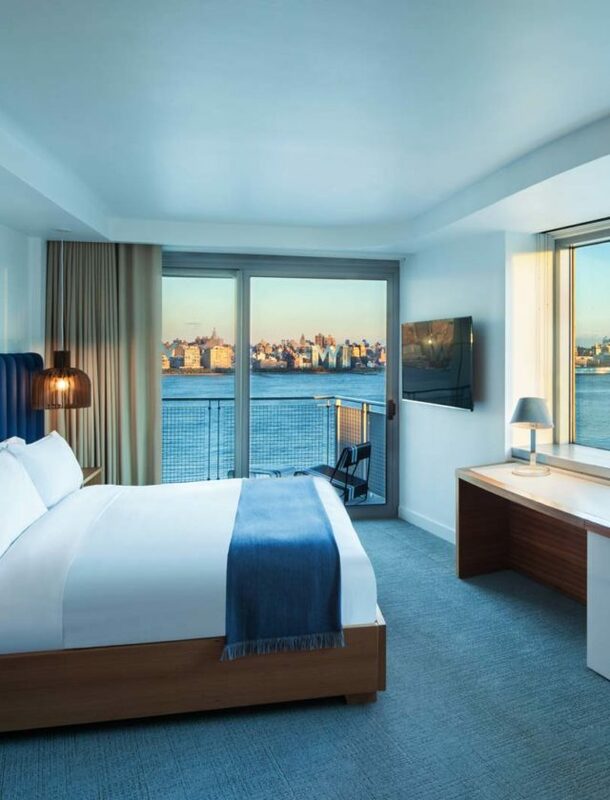 From the main terrace or each bedroom's private balcony, guests can spy on the city that never sleeps from their own private perch on top of the world.